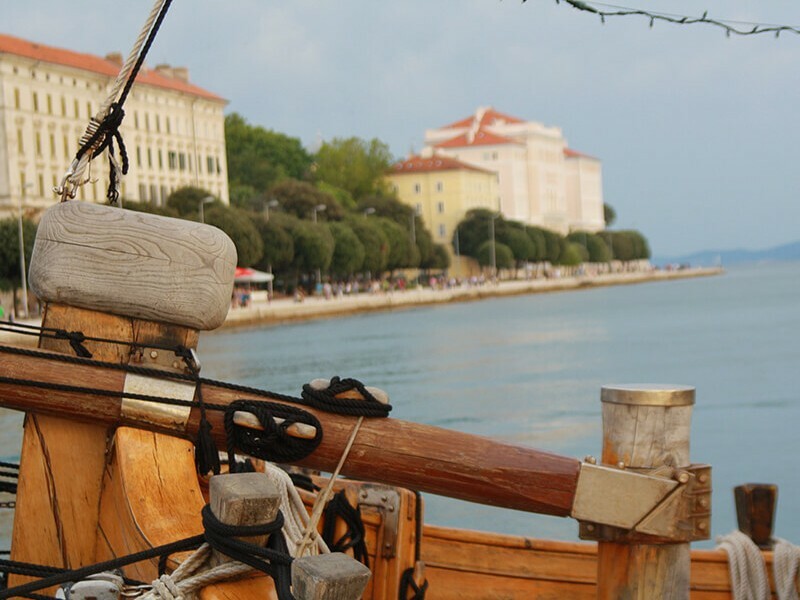 Three thousand years old, the city of Zadar abounds with tumultuous and dynamic history. It was often destructed, looted and devastated, but every time it emerged from the ruins stronger, richer and more beautiful. 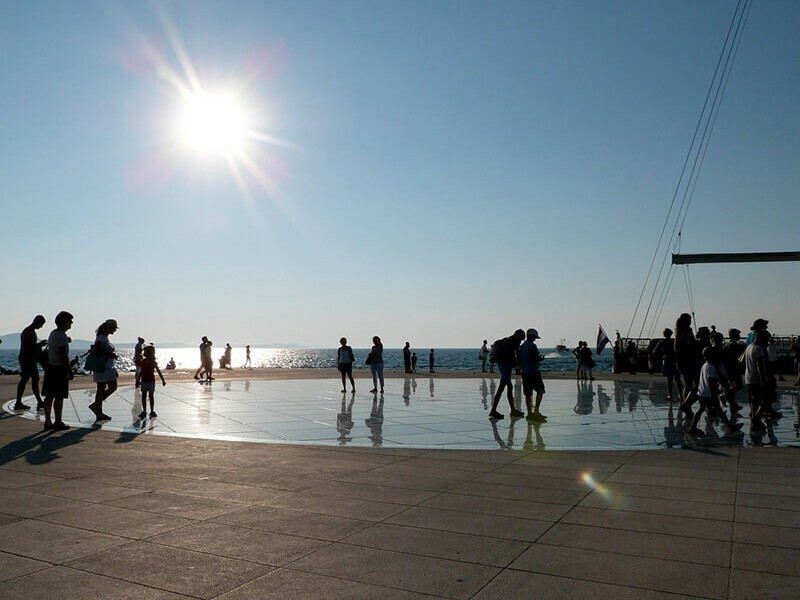 Zadar is first mentioned in 4th century BC as a settlement of the Illyrian tribe Liburnians – it is mentioned by the name Jader, and through history it changed into Idassa (Greek sources), Jadera (Roman sources), Diadora, Zara (during Venetian and later Italian rule) up to today’s name Zadar. 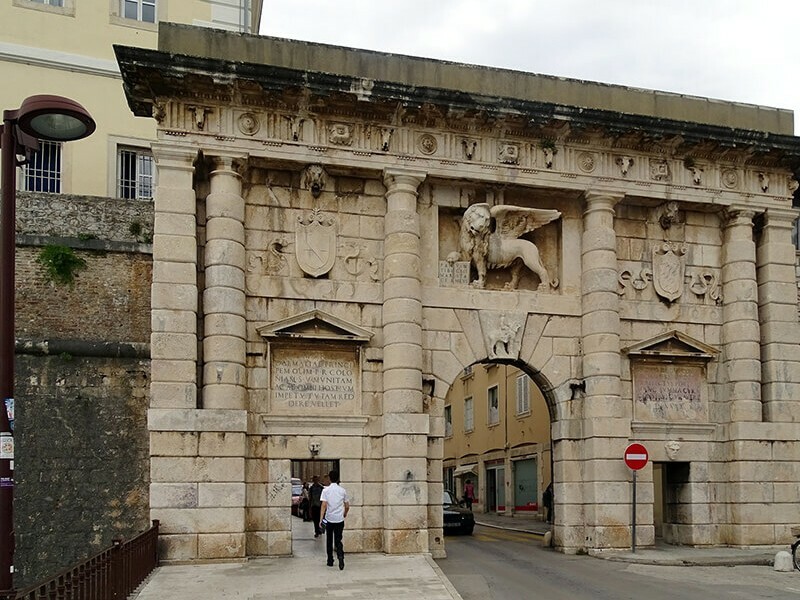 After year 59 BC Zadar became a Roman municipality and after year 48 BC it was a Roman colony. 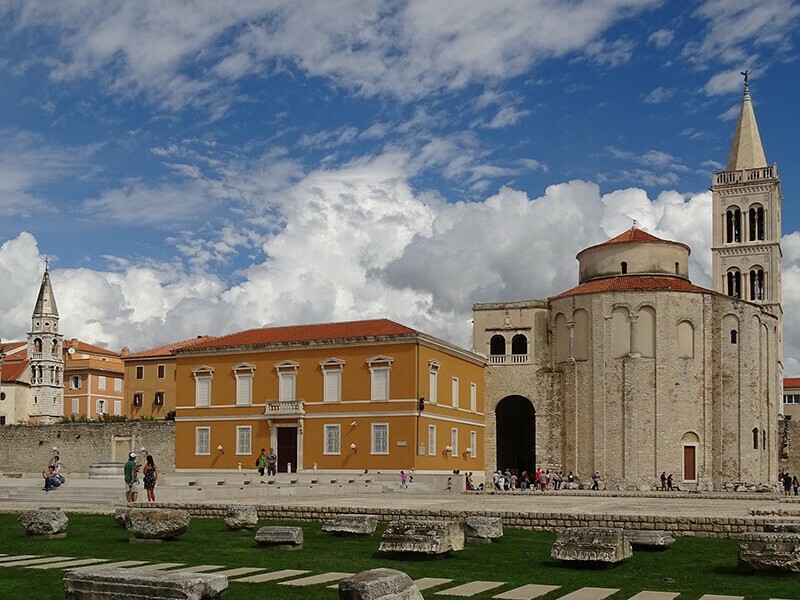 During Roman rule Zadar acquired the characteristics of a city with a regular road network and a main square (forum) with elevetad capitolium and temple next to it. 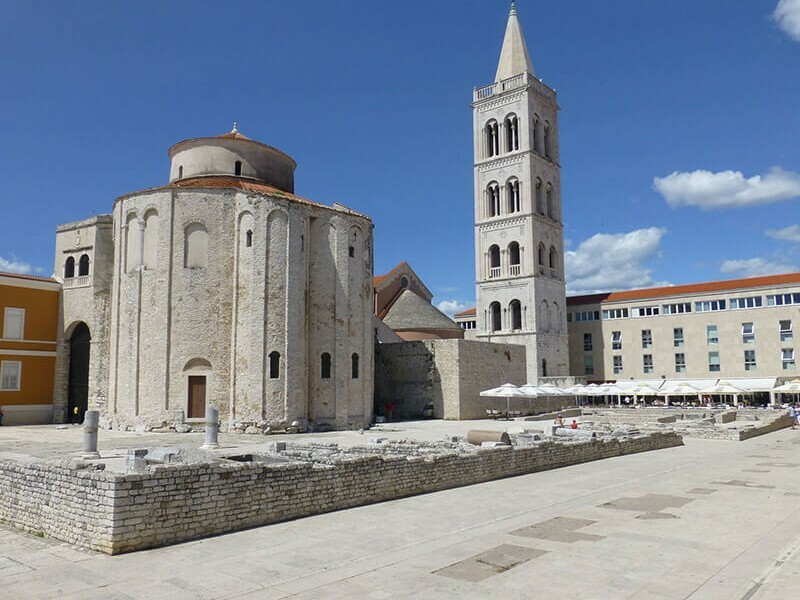 In the 7th century Zadar became the center (capital) of the Byzantine province of Dalmatia. 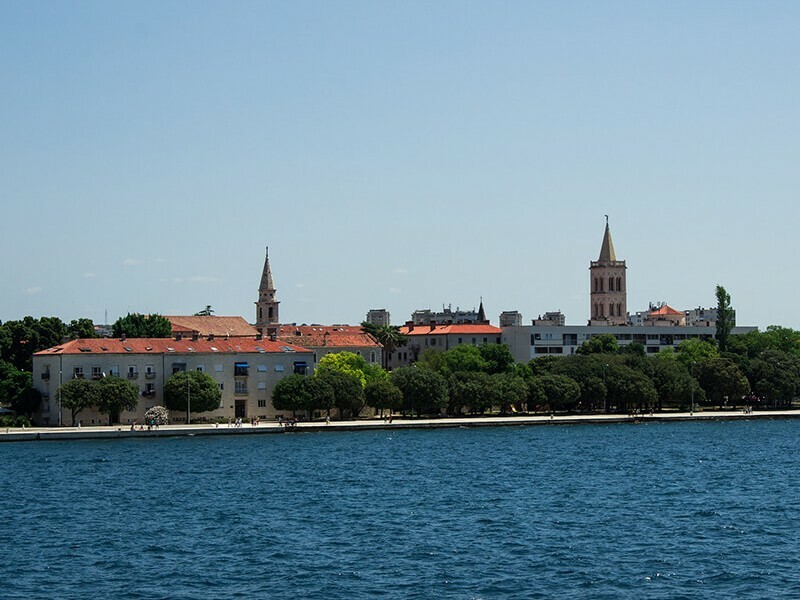 At the beginning of the 9th century Zadar was mentioned as main residence of bishop Donatus and the Byzantine leader Paulus. At that time the Church of the Holy Trinity (today St. Donar Church), a symbol of the city, was built on the Roman. In 1202 the city was conquered and burned by the Crusaders and Venetians. After that, the first Gothic churches in Dalmatia – St. Frane and St. Domink, are built. After the Venetian, Austria takes the rule over Zadar for the first time (1797), followed by French from 1806 to 1813. Another Austrian government lasted until 1918, and Zadar still retains the status of capital of the Kingdom of Dalmatia, the seat of the Dalmatian Council (established in 1861) and the church metropolis for the entire Dalmatia. In 1920 Zadar was annexed to Italy as an enclave on the east coast by Rapallo Treaty. 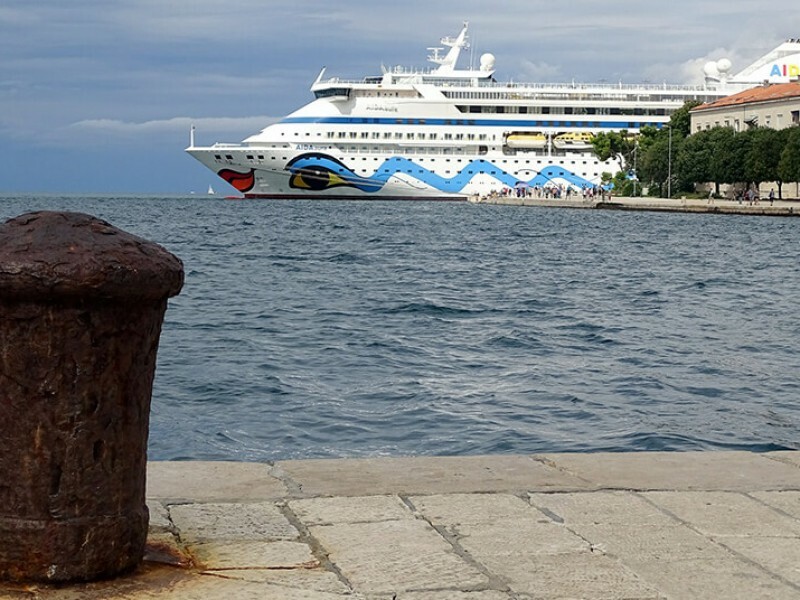 Zadar remained in this composure until the end of the World War II, when 80% of the historic center was alsmost completely destroyed and abandoned, and annexed to Croatia (within the Federal Republic of Yugoslavia). 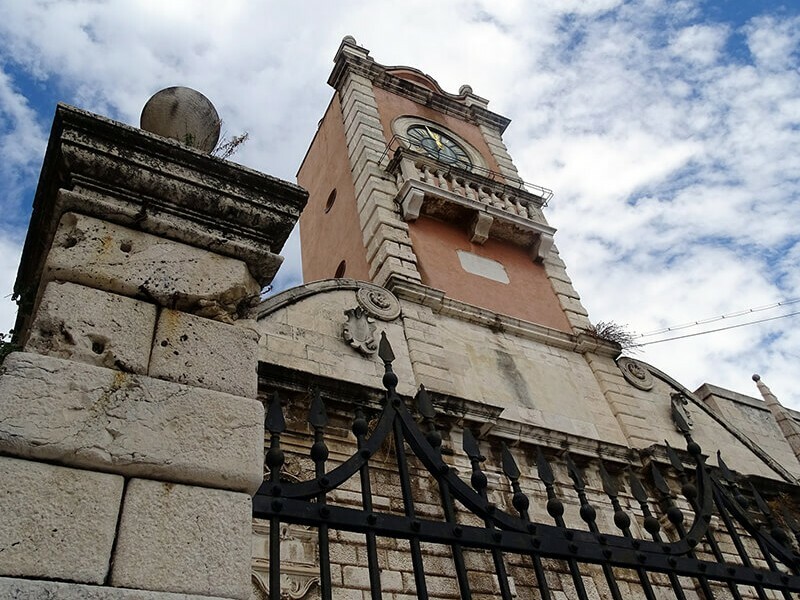 After the declaration of independence of the Republic of Croatia, the city of Zadar and its hinterland were attacked in October 1991 in order to be conquered and destroyed. The city was repeatedly shelled and devastated, with most significant damage made to Zadar’s monuments. 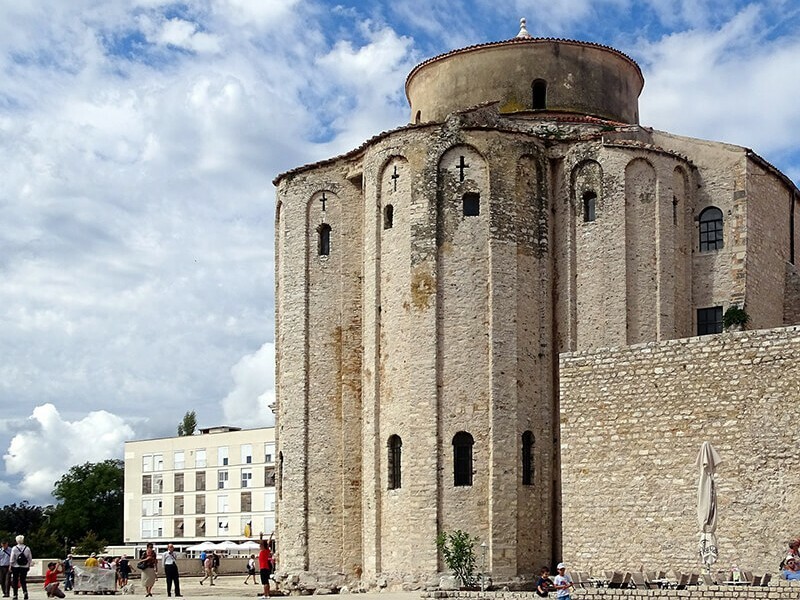 Today, Zadar is a preserved monument of different historical times and cultures that have set boundaries and visible outlines of its urban look, and as in the centuries of turbulent history, his four patron saints – St. Krševan, St. Sime, St. Anastasia and St. Zoilo – continue to keep it safe.